The competition in the B2B space has become tighter than ever before. The companies integrate various strategies into their marketing mix to generate a significant number of leads as well as engage their customers. Telemarketing is one among them. Although it seems like an old-school talk, this strategy has never lost its importance in the 21st century. People still prefer this mode of communication over other channels because of its human touch. The customers can effectively interact with the sales representatives and clarify their queries. Although several companies are happy with their telemarketing outcome, there are still businesses who struggle to see the desired result. If you are one among them, you are in the right place. 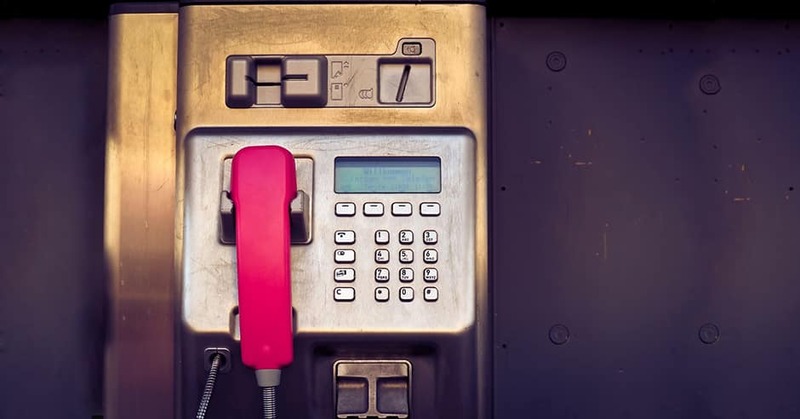 This article speaks about five best telemarketing tips that help you to achieve higher ROI outputs than other channels. Making thousands of calls will never help you if you are contacting the wrong person. That is, you cannot convince the people who are not interested in your product or services. It will waste not only the time but also the effort spent on such calls. Hence it is essential to identify the group of audience who are keen to know more about your brand as well as buy it. You must research your niche, understand the demographics, and learn more about their interests. This way you will learn more about your audience, and it helps you while communicating with them on call. Also, you can have a productive conversation that never bores them which helps in generating sales-ready leads in less time. So, always prioritize this task over others since dealing with the wrong audience is of no use for your company and negatively impacts your business. Once you find the right prospects, segment the list to ease your next mission. It helps you in clearly understanding your potential customers as well as customizing the telemarketing calls. The more segmented your record is, the more it helps you in achieving your business goals. A good telemarketing script plays a vital role in business success. Especially in the B2B space where your prospects are busy with their work and do not like to get distracted by unnecessary calls, you get only a few seconds to convey your message and convince them. In such cases, the scripts will come to your help. But how to write the best one that helps in increasing the sales rate? To help you with this, we have listed five tips that not only assure the smooth conversation but also guarantee the success in the end. Use your time wisely. That is, try to utilize the first thirty seconds of your call to buy the next minute of your prospect’s time. In your script, always mention at least five reasons why your client has to buy the product or services. Include engagement as well as consultative-based questions in your telemarketing script. Do not use the same sentence for every prospect you encounter. Tailor your writing according to the person’s interest or demographics. Include a proper Call-to-Action in your scripts. At last, don’t sound stilted while using these scripts. Now you know who your leads are and also you have a script in hand. But it will not help you if you call your prospects at an inappropriate time. Sometimes the marketers do not take the call timings seriously and end up annoying the potential clients. Therefore it is essential to understand the importance of timing and plan the calls accordingly. So here comes the question – how to identify the correct timing to call your prospects? Worry not if you are confused to determine the proper timing. The researchers have made this job easy for you. Here is a list of timings every B2B marketers must follow to reap maximum benefit from telemarketing strategies. Calling your prospects on Thursday instead of Tuesday can increase the result up to 50%. Calls during morning time are capable of improving the outcomes up to 114% when compared to the afternoon. 4 p.m. to 6 p.m. will always be the best time to reach your potential prospects. Whereas, 8 a.m. to 10 a.m. is the second ideal time. Timings from 11 a.m. to 2 p.m. are treated as the worst duration to make a call. Wednesday, as well as Thursday, is considered as the best days of the week to call your potential customers. However, Monday and Tuesday are the worst ones to make a call. Although you are a telemarketer, you don’t always have to keep your call one-sided. At times, you must also listen to your customers and understand their issues. Try to involve them in your conversations and make them happy with your call. It is one of the simplest ways to increase your sales rate in less time. Ask some questions to the prospects and also allow them to do the same. It will help in improving the engagement rate and thereby building trust among the customers. Try to sound friendly while communicating with the prospects. Do not sound robotic or answer to their queries like an automated machine. Explain about your products or services creatively and draw the attention of the customers. Engage your customers with exciting topics, so they do not regret picking your call. Always appreciate your customer’s questions since it makes them feel valued. You cannot master the skills of telemarketer in the first shot. You must take your previous calls and strategies into consideration if you wish to polish the skills. If the previous script did not work, you can work on the next one and adjust it accordingly. You can do so by recording your calls and monitoring it later to identify the flaws or to determine the changes to it. The team leaders can take this responsibility and point out the areas of improvement for the telemarketers. The success of telemarketing profession directly depends on how your agents are trained, and how well they close the deals. Always remember that if your team can find the perfect script or tactics to generate significant leads, do not stick on it forever. The people change along with technological advancement. Hence you must keep yourself updated if you wish to stay ahead in the business competition. See how your customers resonate for your current strategy and identify what they ignore. It helps you in modifying the approach effectively. Periodic review of your previous tasks, as well as scripts, plays a vital role in the company’s success. Well, now you might have realized how complicated it gets if you do not have a proper script or a well-drafted strategy in your hand. You might find various telemarketing techniques online. But always go for the one that best suits your business operations. In this article, we tried to shed lights on five practical strategies that help you to have more effective B2B telemarketing process. Integrate them into your marketing mix and build your sales pitch to a greater extent.